Doesn't that look awesome?? Yeah, after some trial and error, I got it down! Sorry, that was the ONLY photo I could find.... But if you want to know how I made that awesome super easy floating shelf you can click on the photo. Anyway... I finally decided to made a rag wreath. I liked the farmhouse rustic feel. 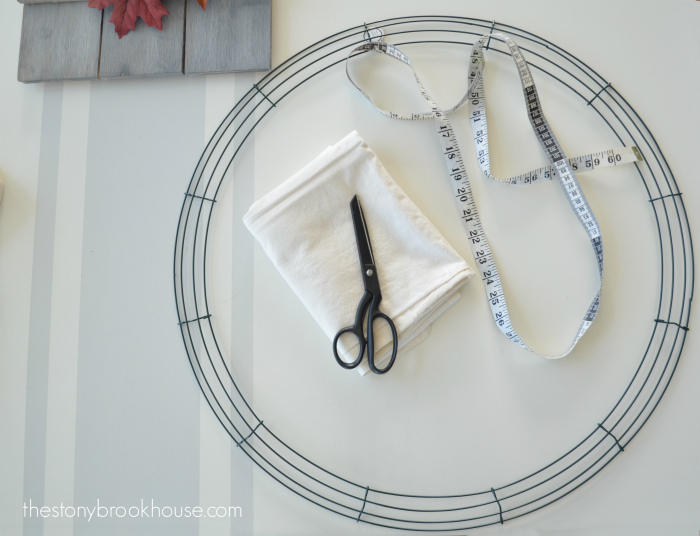 I purchased a 24 inch wire wreath form and also bought about 6 yards of white muslin fabric. I picked those supplies at Hobby Lobby, using my 40% coupon, of course! I paid about $10 for this wreath! Deal!! 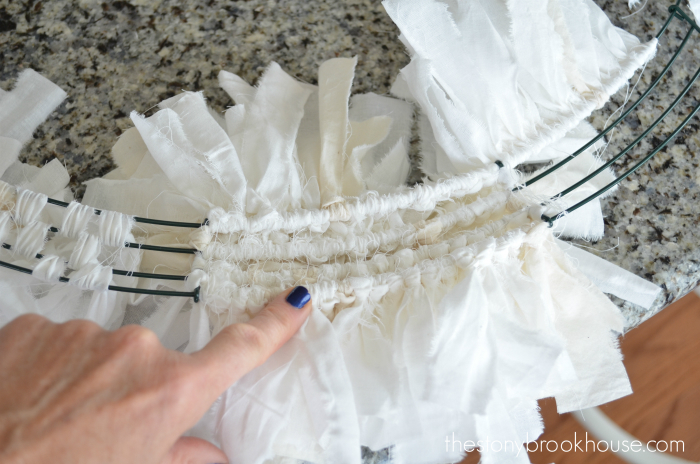 Then I ripped the muslin into 1 inch strips and cut them in different lengths so that I'd get an uneven fluffy look. 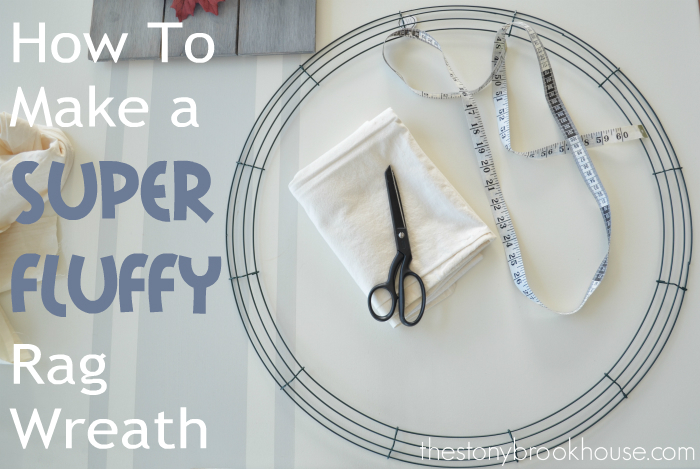 I looked at everything I could find on making a rag wreath and decided to try one of the tying methods I found... but it turned out like this... skinny fluffy. Then I looked again and found another tying method and BAM!! Super Fluffy!! Seriously! The difference was unbelievable. I had tried hanging it up on the wall, and I did NOT like it skinny. No way! I didn't want a wreath that looked puny. I wanted big and super fluffy! Let me show you the different tying methods. 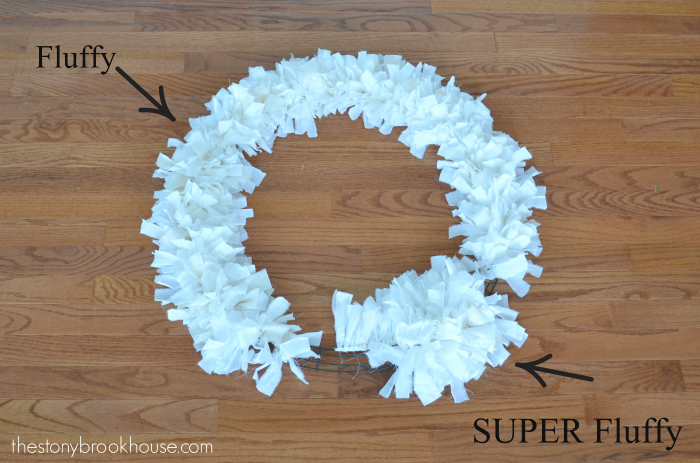 The one on the left was the first skinny rag wreath method. If that's what you want for your wreath, try that one. It was faster and used A LOT less material. Basically, you tied the strip around two wires and alternated between the 4 wire rings. It went pretty quick. The one on the right is the SUPER fluffy tying method. It's more time consuming and uses more fabric, but it's sooooo worth it!! 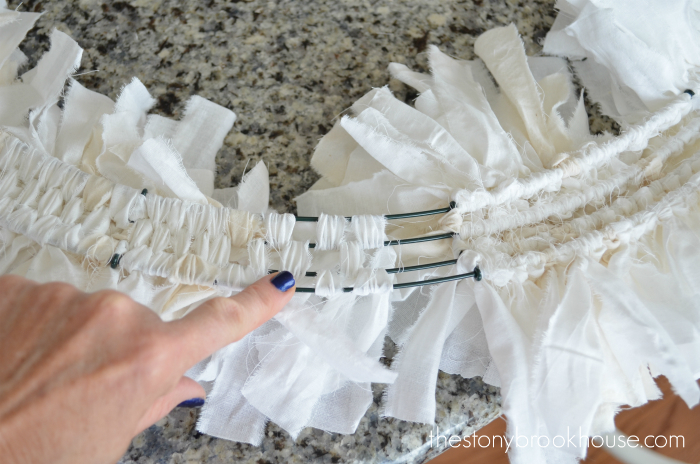 You use the same strips, but you fold one in half, loop it around one of the wires and pull the ends through the loop, then tighten. I would pull on each end alternately, that way they were never perfectly even. Tie the strips around and round each wire ring, and there are 4 of them that make up the entire wreath. I worked in sections, I believe there were 12 sections. This equals SUPER FLUFFY! It looks so nice and fluffy! 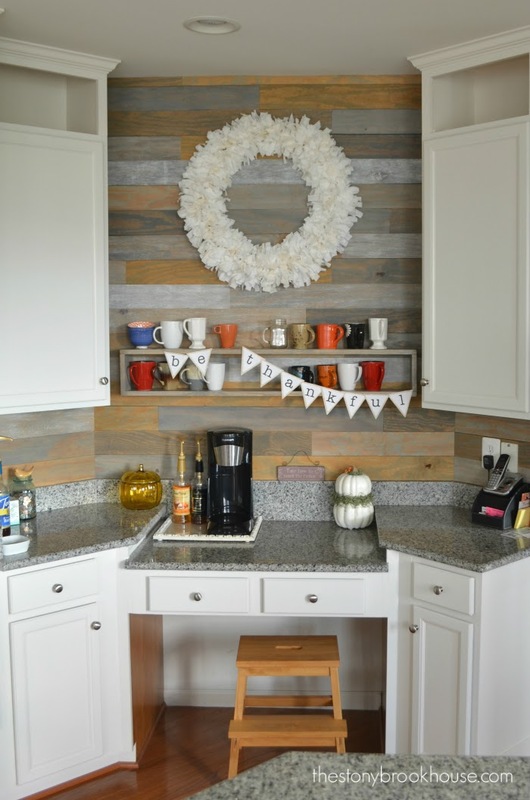 I just love my coffee bar area. 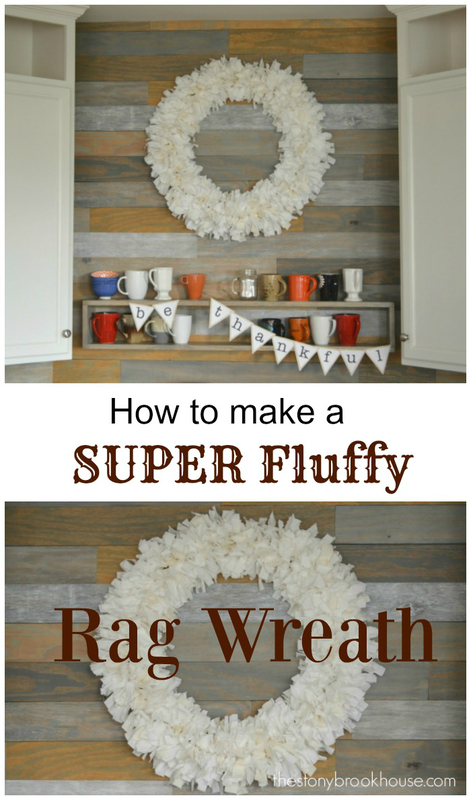 I am super happy with my super fluffy rag wreath! I was trying to figure out the best technique! One wire or two! I just knew I wanted fluffy no matter what! Thank you! You bet! I love it! Good luck to you!